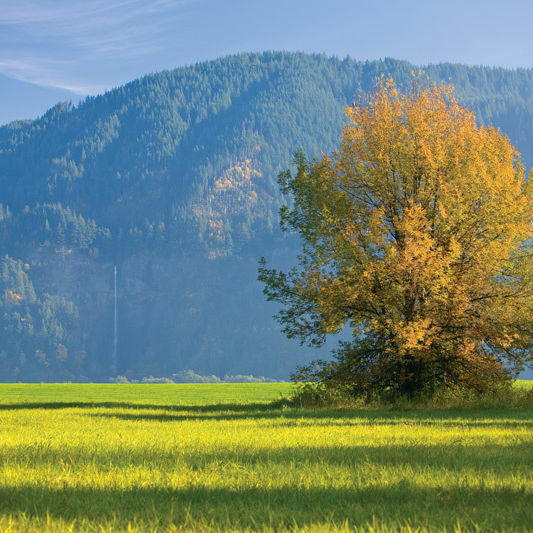 The Columbia River Gorge attracts more than 2 million visitors a year, and we're betting you're one of them. But how well do you really know our signature landscape? 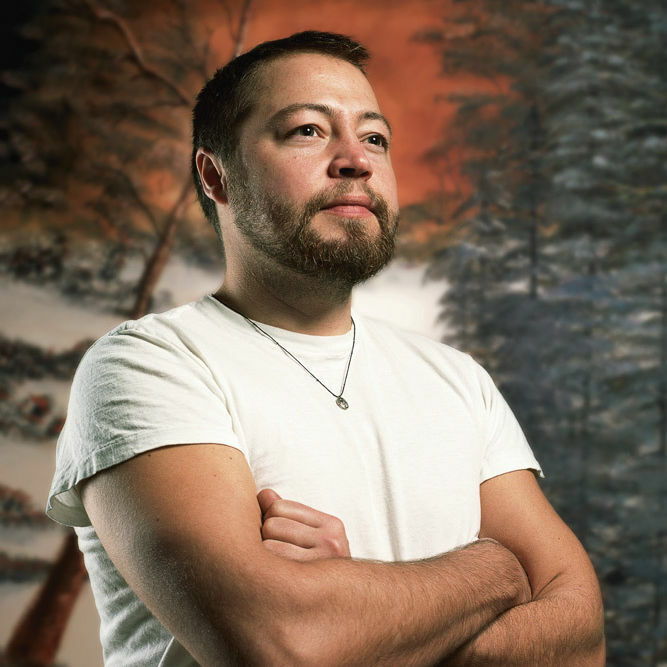 Lorenzo Triburgo merges transgender men and corny, Bob Ross–style landscapes in portraits that playfully puncture assumptions about men, women, landscape, and photography. 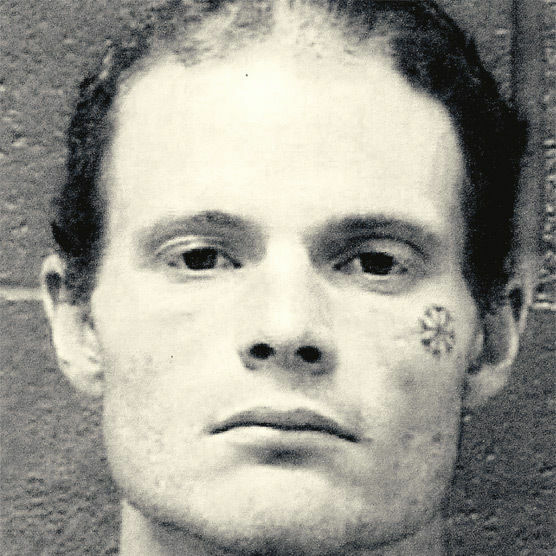 As a teenager, David Pedersen went to prison after robbing two coffee stands. At 30, he got out—and went on a killing spree. This story examines his history in Oregon’s courts and prisons. The annual arrival of Fleet Week is awash in festive figures. Not every photo posted to Instagram is a Kodak moment. Eugene track athletes sprint and hurdle their way to our table this month. The Maryhill Museum now has plenty of room for both its famed Rodin collection and a gorgeous new outdoor pavillion. Comics journalist Joe Sacco and war correspondant Chris Hedges turn their attention to the poorest cities in our own country. A brew at the zoo, a naked bike ride, and a four-day rave are just some of the happenings in store this month. Journalist Peter Zuckerman tells the story of K2’s deadliest day from the point of view of the sherpas. When you work for Cirque du Soleil, home is where the tent is. Just because the fizz is gone is no reason to pour out the leftover bubbly. The subject is roses and Plantwise writer Kate Bryant has some budding advice. Schoolhouse Electric’s growing business means more aesthetically deft accessories for the home or office. Portland’s many sister cities include Bologna and Sapporo. But where the heck is Khabarovsk? How a Tillamook company plans to conquer Saturn’s mightiest moon with a futuristic ballon. See excerpts from our April 9 Bright Lights discussion with three prominent African American leaders on how our city’s well-known liberal values may be thwarting a more equitable future. There's a lot more that goes into the making of a fashion show than pressing the dresses and shining the shoes. 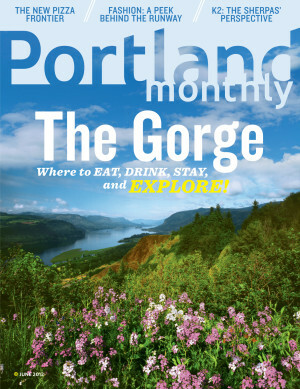 What does the future hold for the Gorge? We offer some unlikely scenarios. Mountain bike enthusiasts have a new singletrack trail to cycle through.